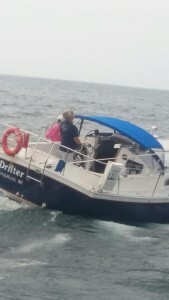 Captain Mort has a U.S. Coast Guard Master License and has cruised throughout Lakes Michigan and Huron each summer for over 30 years. A native of West Michigan, he knows the Saugatuck area well. Some further areas of his exploration include the North Channel and Georgian Bay. During the winter months Captain Mort can be found delivering yachts to other owners, sailing in the Bahamas, and crewing yacht races.